Now that we have arrived in the Anchorage area we have good internet again. 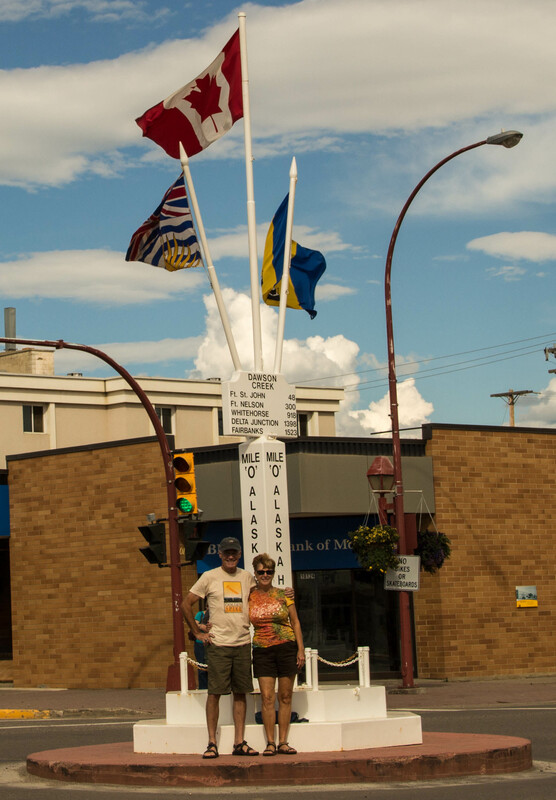 The trip up through British Columbia to Dawson Creek and the start of the Alaska Highway was a wonderful journey itself. More on some of those adventures later. 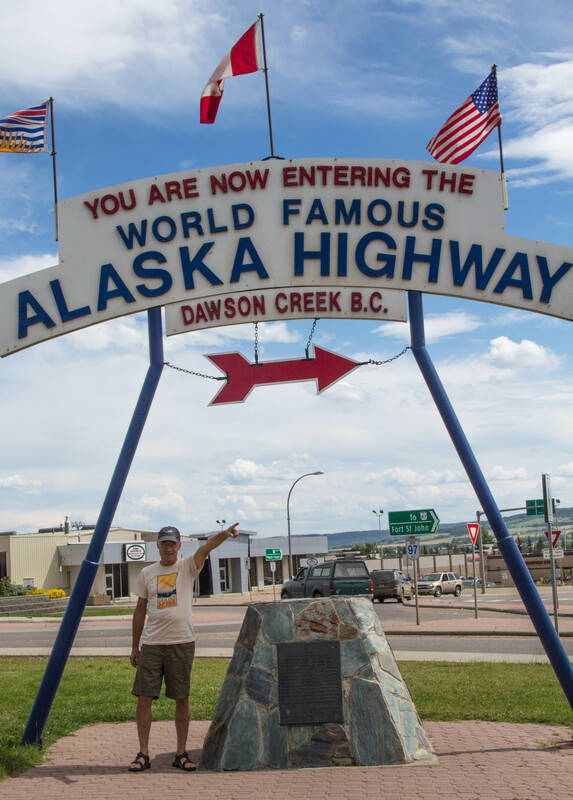 Dawson Creek marks mile 0 of the Alaska Highway. (Kilometer 0 for the Canadians) It is a very long road filled with endless wilderness. We saw black bears, grizzly bears, stone sheep, moose, elk, fox, deer and swans. 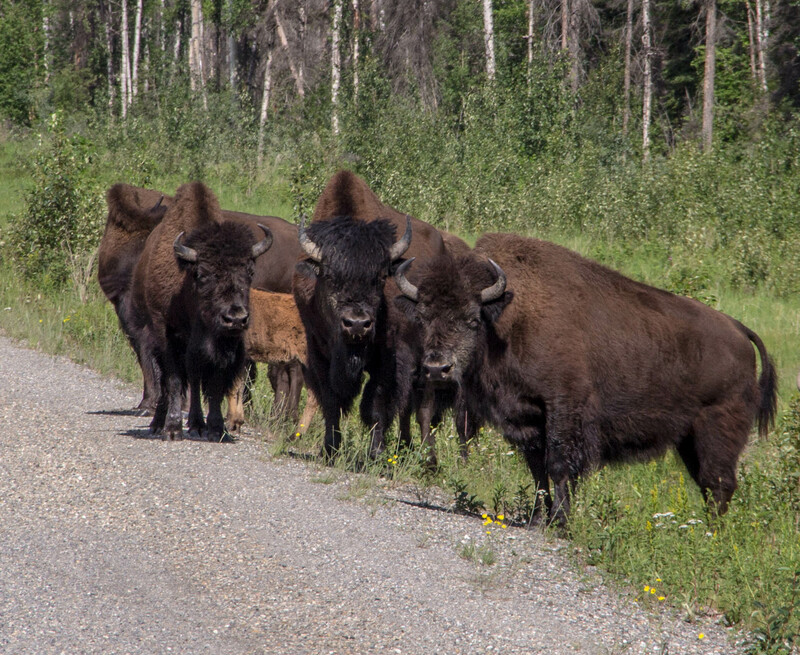 We’re sure there are also cariboo and lots more we didn’t see. There are countless lakes and rivers. Some HUGE rivers you’ve never heard of with no development that could be seen. We visited the many towns along the way and found the people friendly and helpful. Services are nicely spaced and campgrounds are abundant. There was never any reason to reserve in advance. Plenty of spaces as long as you didn’t need hookups all the time. 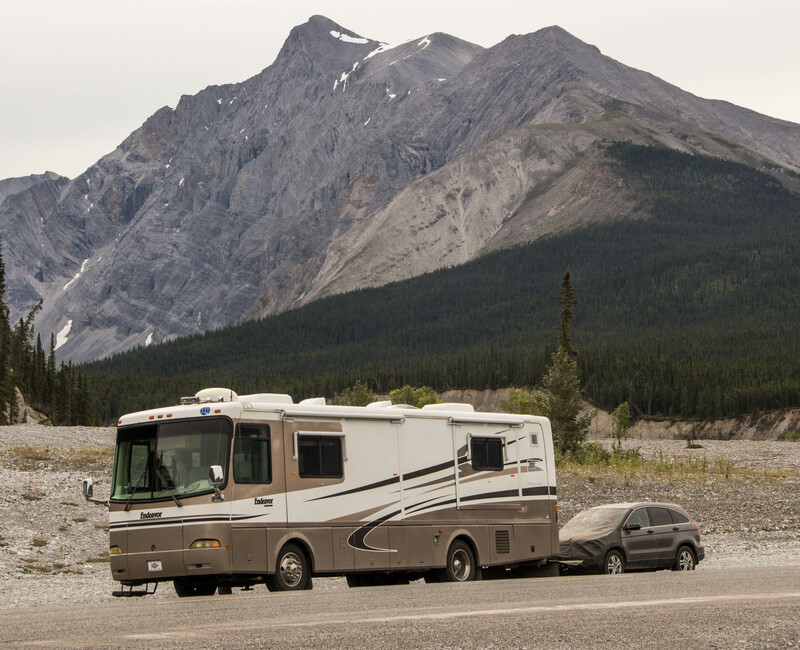 We saw travelers along the way from all over the US and Canada and plenty of Europeans too. 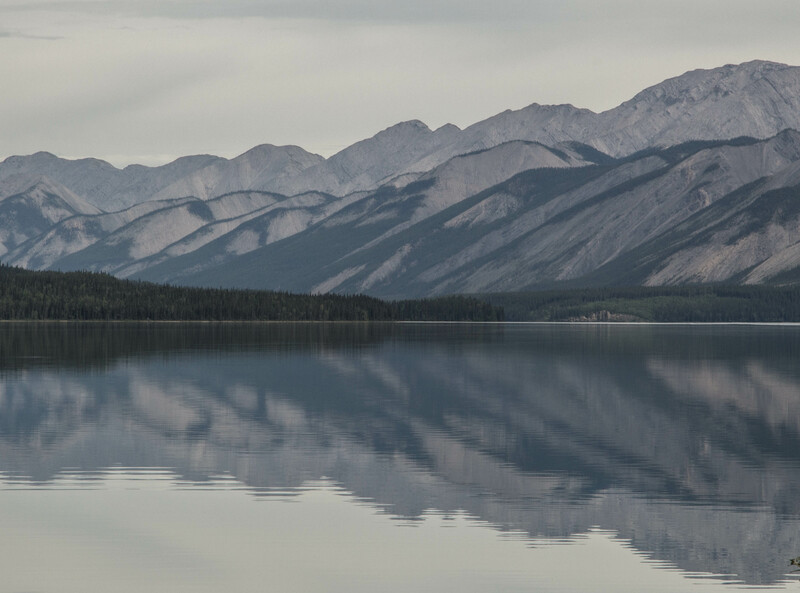 Some of our favorite stops along the way included Summit Lake in Stone Mountain Provincial Park (BC), Liard Hot Springs, Skagway AK, Kluane Lake Yukon. 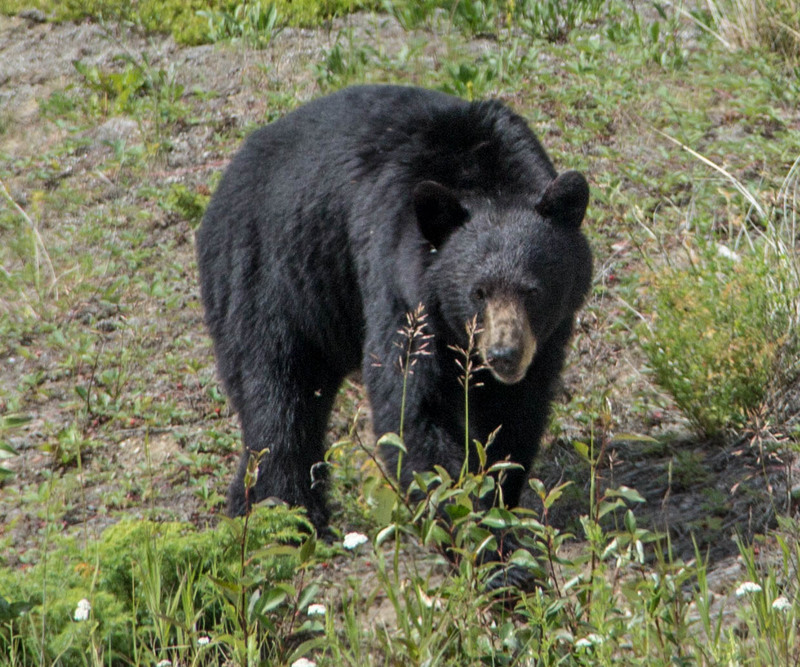 Many areas warned of bear activity (including grizzlys) so hiking was limited. The history of the building of the highway in 1942 was everywhere. From old army equipment, structures, photos and even films, the story was told over and over. It was a monumental engineering project to build the road in about 8 months. It has been rebuilt almost every year since starting in 1943. 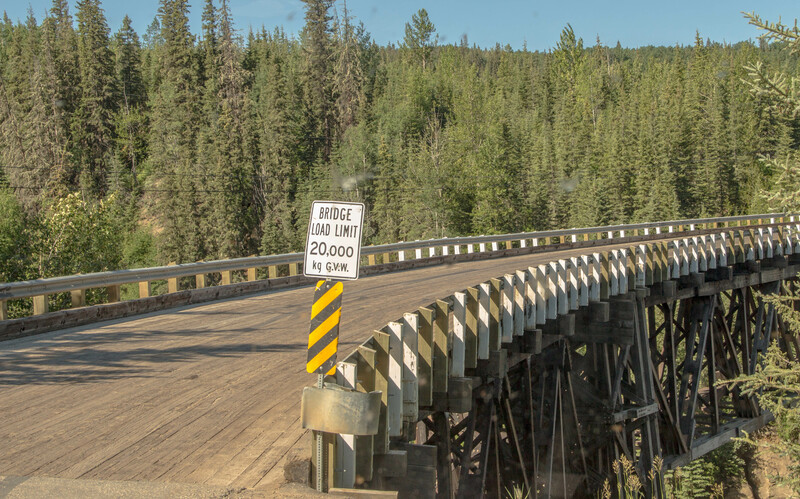 Now the road is completely paved and in great shape except for an area near the end of the Yukon stretch before the Alaska border. There were lots of frost heaves, potholes and construction with mud and gravel. This was where we were really glad to have our tow car cover! 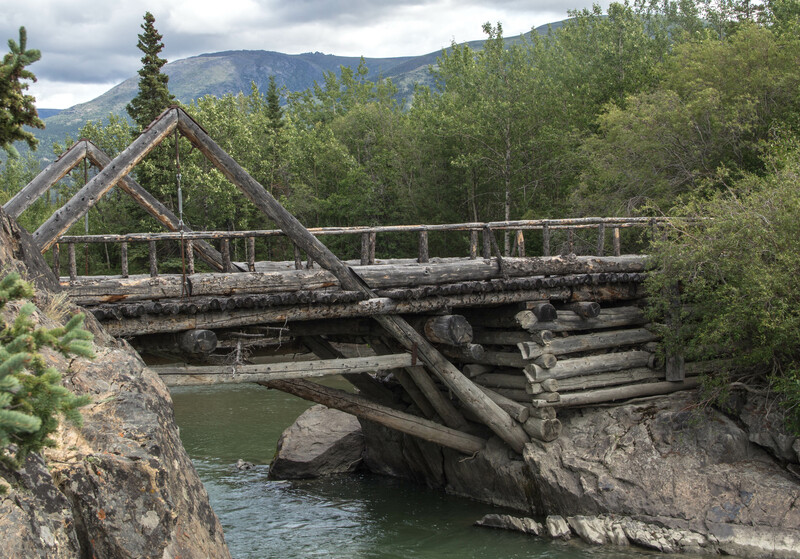 Once the road crossed over into Alaska the surface got real smooth. Then after a little while the frost heaves and potholes returned but not as bad. Apparently there really is no way to build a road over permafrost without periodic damage. Our first stop in Alaska was at Border City, a small RV park behind a gas station. It had been raining and getting kinda cold so we thought some hookups would be nice. We arrived about 3PM it was 59 degrees and raining. In 2 hours it was 79 and sunny. We haven’t seen night since we crossed into BC. Now here in Alaska it is still very bright at 11PM, so we still have not seen the dark. We want to see the Northern Lights but we’re told we’ll have to wait until August when it gets dark. There are more stories to tell of our stops along the way. We just want you to know we are back from the dark side of the moon. At least we are for now. More posts to come! 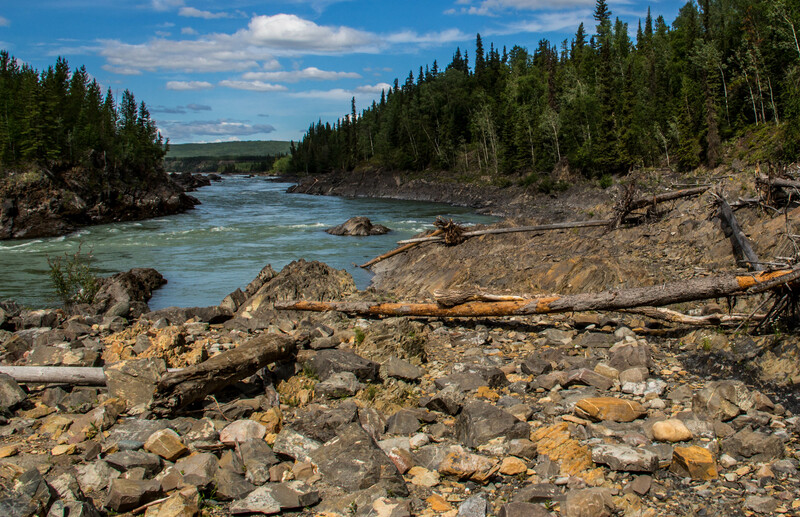 This entry was posted in Alaska, Alberta, British Columbia, Canada, RV Travel and tagged BC Provincial parks. Bookmark the permalink. Looks like you weren’t disappointed with the scenery or the wildlife. The Mucho Lake photo is stunning. The trip of a lifetime. Love hearing about your adventures, and the pictures are great! Sounds like you are looking forward to each new day and having much fun–the best possible way to travel. I am so enjoying your blog! The photos are amazing and I’m living my life vicariously through you! Safe travels!! !